Each of the following companies offers the above benefits. Note that spread betting accounts are generally subject to status and/or credit checks. There are a number of UK facing spread betting companies, each of the firms offers trading accounts in GBP. So whether you are looking to trade UK Shares, US Oil, German Shares or the Hong Kong Hang Seng you can trade them all from your GBP denominated account. The London Stock Exchange may close at 4.30pm local time, however, you can now trade a number of UK based markets like the FTSE 100 and a variety of currency markets, like EUR/GBP, GBP/USD and GBP/JPY, throughout the night. For more details see 24 Hour Spreads. If you are looking to trade UK shares we now have over 200 share based spread betting examples covering the top UK listed companies. If an investor wants to speculate on firms like Barclays then one possibility is to spread bet on the Barclays share price. Whilst financial spread betting on UK equities you trade in £x per penny. Therefore, if you decide to have a stake of £2 per penny and the Barclays shares move 36p then that would alter your P&L by £72. £2 per penny x 36p = £72. One important thing to note is that this is a Rolling Daily Market and so unlike a normal spread betting futures market, there is no settlement date. You do not have to close your position, should it still be open at the end of the trading day, it will roll over to the next session. Our Rolling Daily spread betting article goes into more detail about Rolling Daily Markets and includes a fully worked example. Then you may decide that you want to buy at 235.5p and risk, let’s say, £15 per penny. This means that you win £15 for every penny that the Barclays shares increase and go above 235.5p. Nevertheless, it also means that you will make a loss of £15 for every penny that the Barclays market moves below 235.5p. Looked at another way, should you ‘Buy’ a spread bet then your P&L is worked out by taking the difference between the closing price of the market and the price you bought the market at. You then multiply that difference in price by your stake. With this in mind, if after a few days the stock moved higher then you might want to close your trade so that you can secure your profit. Trading shares, by spread betting or otherwise, may not go to plan. In the above example, you had bet that the share price would increase. Of course, it could go down. If the Barclays share price had started to drop then you might decide to settle/close your position to stop any further losses. Note – Barclays Rolling Daily equities market correct as of 25-Oct-12. Where to Spread Bet on UK Shares? 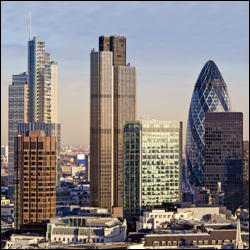 Each of the firms in the tables above offers spread betting on FTSE 100 companies. IG Index will also offer markets on FTSE 250 companies. Financialspreads.com also offers FTSE 250 companies as well as a selection of UK Small Cap and AIM listed companies. As the above shows, naturally you can trade GBP/USD and EUR/GBP. However, other Sterling markets include: GBP/AUD, GBP/CAD, GBP/CHF, EUR/GBP, GBP/JPY and GBP/NZD.